Health in Fernando de Noronha. If health is your concern, take some time to read our article about Health in Fernando de Noronha. Brazil boasts of a whooping 16,000 hospitals and above 200,000 physicians but you will find none on the island of Fernando de Noronha. There is a convenient store that sells regular painkillers but that too comes at a price. The islands easy and quick accessibility to nearby cities puts all fears to rest. It is advisable to carry sufficient amount of your prescription medicine, lest you run short of it. First aid is available in all the scuba diving centers, surfing centres and hiking centers. Hotels and inns too provide first aid during medical emergencies. It is advisable to go through a medical examination before heading to Fernando de Noronha. 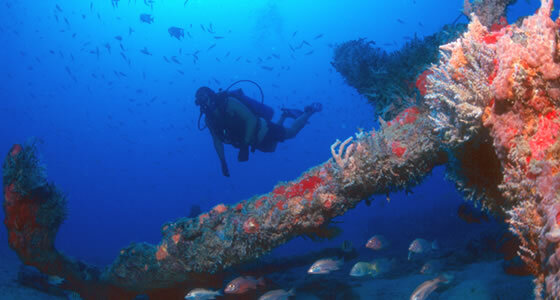 You have to be fit enough to undertake scuba diving and other adventure sports that the island offers. The island propagates no littering, so forget dropping your cigar butts on the island; if you are caught doing that, then you may end up paying more of a fine than you paid for the cigar. Drinking tap water can pose a health hazard because the island water source is mainly stored rain water. You will hardly find vendors selling water, so better carry a bottle of water when you leave the hotel. Your hotel inns may have some creepy-crawly cohabitants. Nothing to panic because it is normal for the islanders. With so much of lush green surroundings, insects abound on the island. So make sure you carry enough insect repellent creams to keep these winged creatures at bay. Few convenient stores and supermarkets sell insect repellent creams and sun tan lotions but again it is very expensive. Food lovers ensure that you take a typhoid vaccine, so that you can enjoy the various cuisines of the land. Tourists are recommended to carry a small first aid kit in case of nicks and cuts during the adventure and carrying antibiotics is recommended for self treatment in case of diarrhea.